This conversation sofa is a great piece to have in your home to encourage conversation among your guests with its gently curved shape. 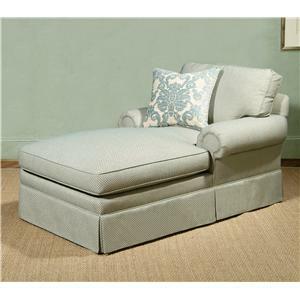 Completely customizable from the back to the legs, this sofa is totally unique and all about you. 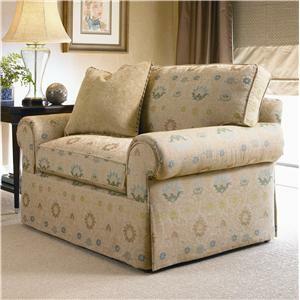 Choose from 1,800 fabrics or leathers, a loose or attached back, thirteen arm and five base choices, seat and back cushion designs, and throw pillow options. So create whatever your heart desires, and design a look that fits your lifestyle and your personal taste. 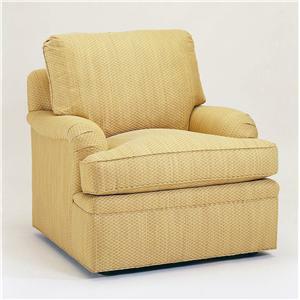 It is also available as an armless sofa or with only one arm on the left or right side. 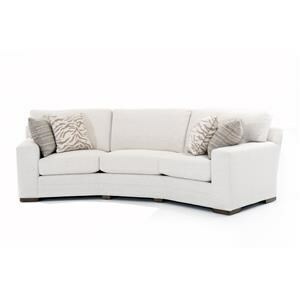 The 2000 Eight Step Custom Customizable Wedge Sofa by Century at Baer's Furniture in the Ft. Lauderdale, Ft. Myers, Orlando, Naples, Miami, Florida area. Product availability may vary. Contact us for the most current availability on this product. Tailoring Fabrics are flow matched on all sides so patterns appear to flow uninterrupted through the piece. Arm You can choose from 13 arm styles to create a look that you love. Choose from Straight Cushion and T-Cushion Pleated Sock Arms, Pleated Arms, Lawson Arms, Track Arms, Envelope Arms, Sock Arms, or a T-Cushion English Arm. Leg or Skirt You can choose from five base options in this collection. Choose from exposed wood Tapered Square Legs, exposed wood Turned Bun Leg, an Upholstered leg, a Kickpleat, and and a Dressmaker leg. Wood & Finish Finish is hand rubbed on all exposed wood parts to achieve a distinctive look. Seat Support Four rows of double hour glass cone coils are used & are eight way hand-tied to stay in position, and edge wire is applied around the perimeter providing exceptional durability and comfort. No-Sag & Never-Sag steel bands provide solid support. Are you looking for the perfect living room furniture but just can't seem to find it anywhere? 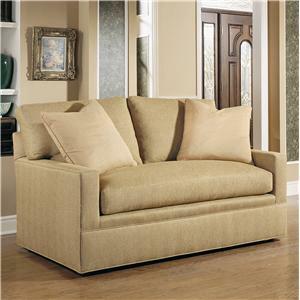 This series eliminates all of the guess work when choosing new living room upholstery. You simply decide what you want, and it will be made for you. Each component of the manufacturing process is specified by you. Start with the size and configuration that will fit into your space, then follow eight simple steps to design your own custom living room furniture. 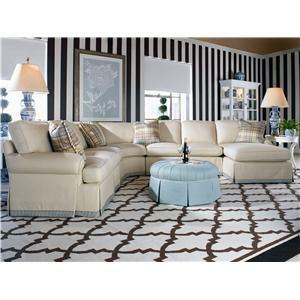 Design a sectional, sofa, chair, chaise, ottoman, chair n' half, or any combination that you need for your home. You can choose from two seat and back styles, five seat cushion and back designs, five base options, and thirteen arm styles to create a look that is totally unique, and completely you. Create a look that is traditional, contemporary, cottage, coastal, casual, modern, transitional, or anywhere in between. This customizable collection is available in over 1,800 choices of fabric and leather, so you can choose the colors, style, and textures that suit your individual tastes and fit into your everyday lifestyle. So stop searching for furniture that you like, and design something that you love. The 2000 Eight Step Custom collection is a great option if you are looking for furniture in the Ft. Lauderdale, Ft. Myers, Orlando, Naples, Miami, Florida area. 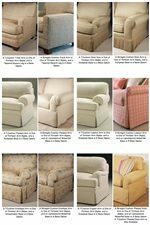 Browse other items in the 2000 Eight Step Custom collection from Baer's Furniture in the Ft. Lauderdale, Ft. Myers, Orlando, Naples, Miami, Florida area.